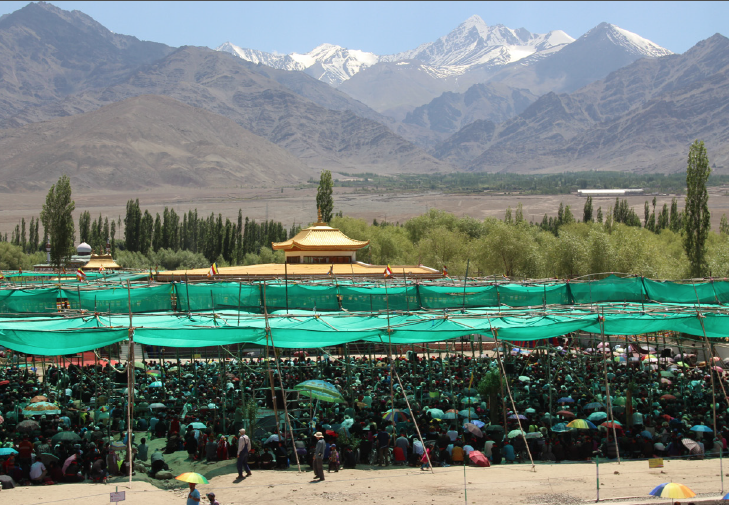 After days of ritual preparations, offerings, purifications and teachings by the Dalai Lama, the actual initiation took place on the 12. and 13. July 2014. Location: Leh in Ladakh, Northern India on 3400m above sea level. Somewhere I read that there are two ways of attending an initiation, either as an active participant or as an interested observer and there is a great opportunity for both to gain much from the experience. I’d probably see ourselves somewhere in between. 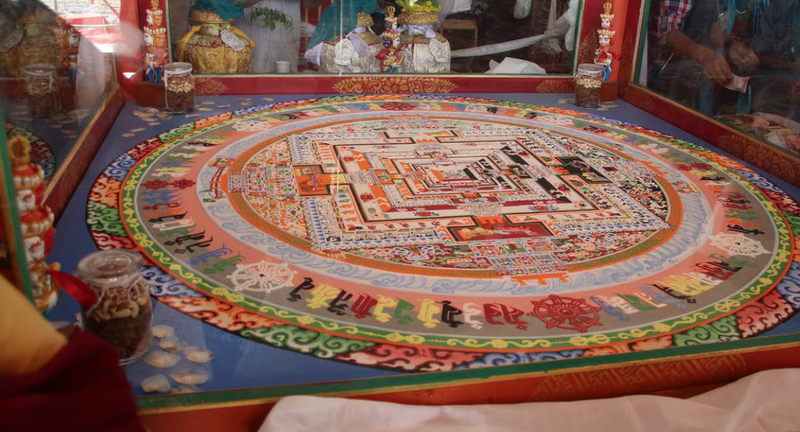 Some background information: Kalachakra is a meditation system from the highest level of Buddhist Tantra, Anuttarayoga, and the initiation is an empowerment which confers the power and ability to engage in certain meditative practices for achieving enlightenment (and thus “becoming a Buddha”) in order to benefit others as fully as possible. Attending the event was unique and “seriously intense” – already the outer circumstances: amount of people (more than 150.000, with ca. 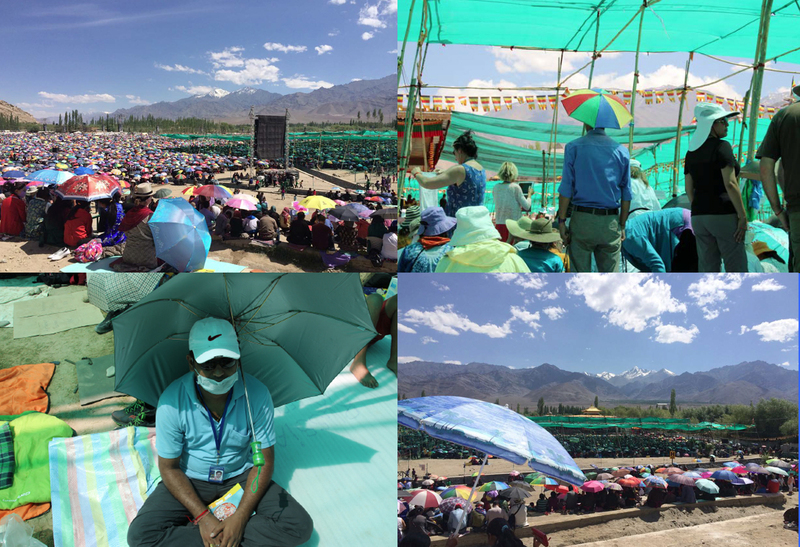 6000 foreigners), the heat, the dust, the drive to the actual Kalachakra ground outside the city… And in terms of energies, it was powerful, yet peaceful. I melted into the mantras and rituals, although overall there was a lot of talking and explaining involved, which made it challenging to maintain a meditative mode. 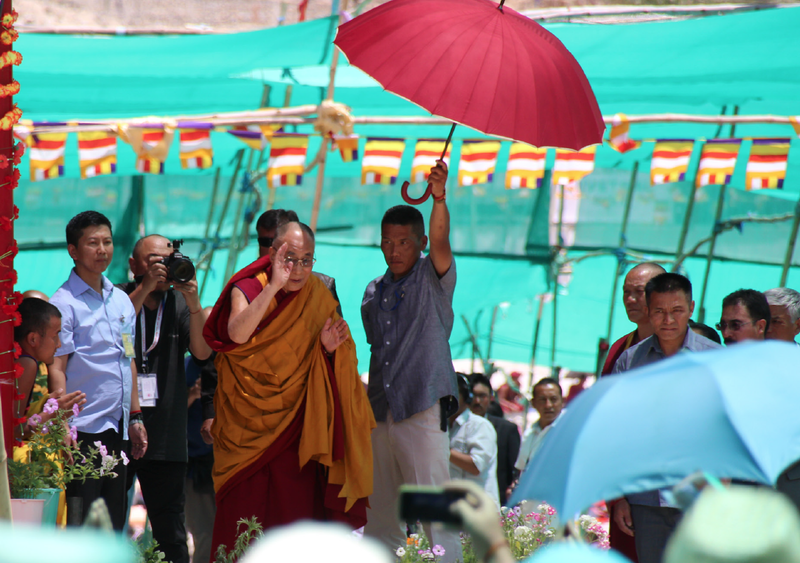 The Dalai Lama explained Mahamudra, the empty body, which was achieved on the 10th ground. Arising into the Mahamudra means empty form, which means empty of matter (every matter is a stage and Maya), where we bring down the vital forces into the cleared body and emit it out, radiating forth, like a flute bringing the universal aspect down. Then we moved on to the final level. In conclusion he stated: “We have completed the eleven empowerments of Kalachakra and it’s just 3pm, which is not bad! (…) The main focus of tantric practice is the completion stage, but what we really have to concentrate on is the developing the awakening mind of bodhichitta and our understanding of emptiness. To realise the higher stages, we have to build a firm basis.” In other words: „One persists in the meditation until the mind spontaneously arises in the empty body form. This causes lights to emanate forth from one’s pores.“ (from The Practice of Kalachakra by Glenn H. Mullin). Or even simpler: Keep on meditating! 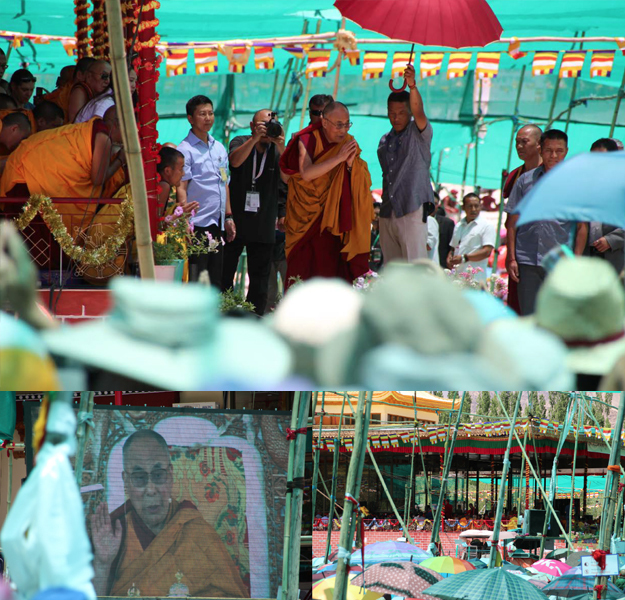 Both days we were graced with space nearby the main stage, and we also had an easy and fast way to view the intricate Kalachakra sand mandala. 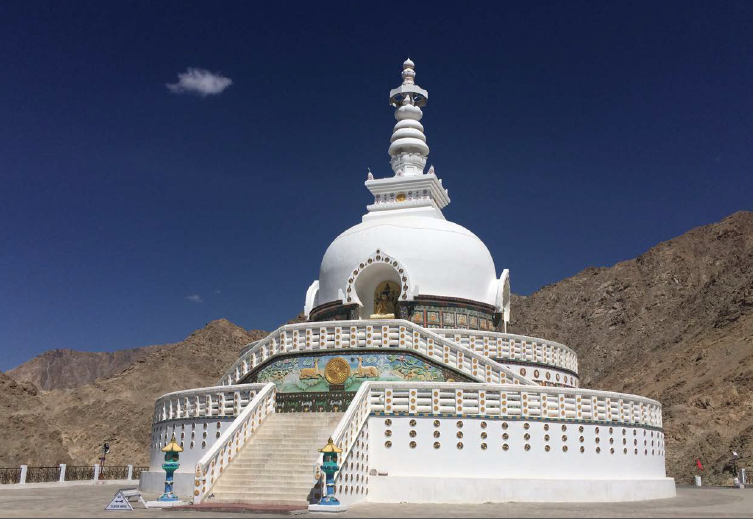 Outstanding experiences we had in one of the two Buddha rooms at the Shanti Stupa and at a couple of monasteries. Deep meditations, deep peace and stillness, space of total potentiality. 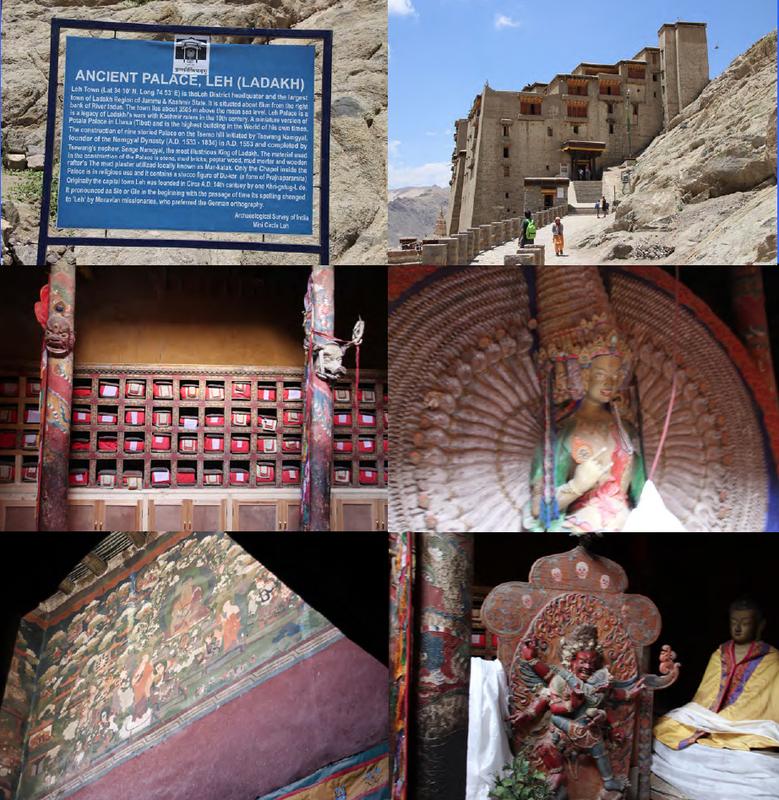 And some surprises: in the ancient chapel of Leh Palace I sat down for meditation and tears welled up. Tears of happiness as I felt as if a part of my beingness got added or repaired. 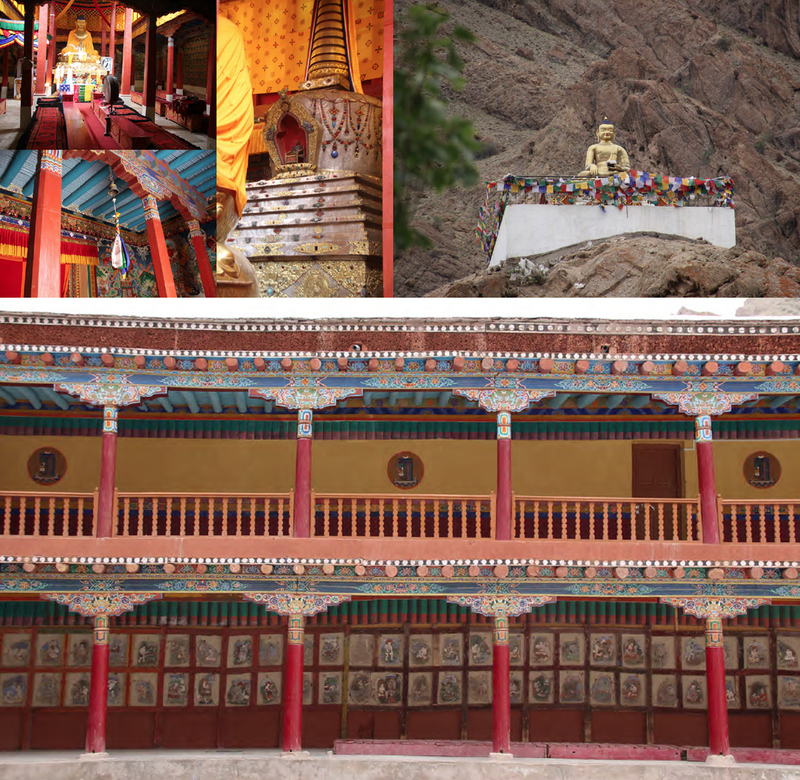 And in the old meditation hall of Hemis Monastery (unfortunately we were not allowed to photograph this room) I had a similar experience of completion with quiet tears and past life flashbacks. A part of me came home. Wonderful. 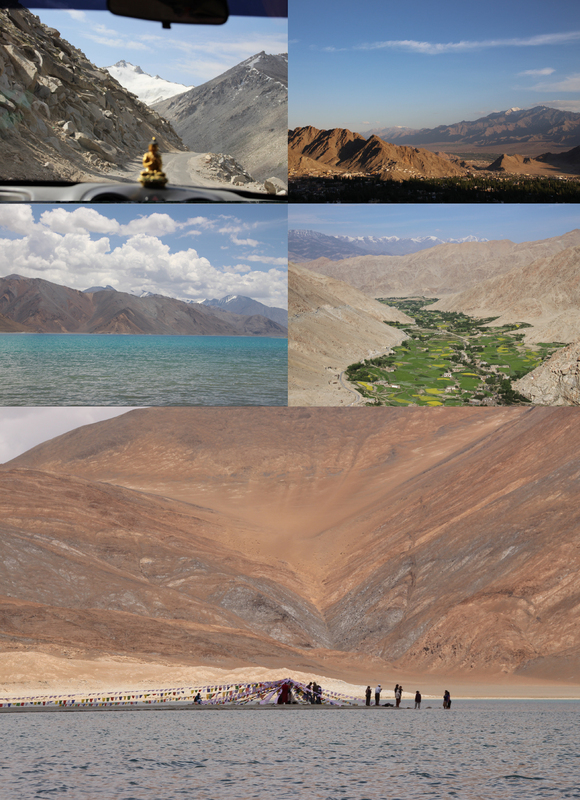 Well, and then we enjoyed the biggest chapel and palace of Ladakh: its beautiful and breathtaking nature. A region so still, stark, pristine and pure, it sometimes seemed like the end of the world (or the beginning). Much has been written, discussed and debated about Buddhism or in fact every religion or spiritual way of life that reached larger groups of people. Having tapped into christianity (catholic and protestant streams), hinduism and buddhism, I am surely no specialist on religious formats, but I can say and recommend this: what counts is your own inner experience and that you rely on your own connection to source, god, highest consciousness or whatever you want to call it, and not on book knowledge, not other people’s experiences and stories. As indicated at the beginning of this post I am not interested in following a particular religious tradition. I’m interested in expanding consciousness (frequencies) and draw from a variety of sources (which all have the same origin anyway) and especially from experiences generated out of my own self. Own experience is undebatable, true and lets you really evolve. And it is good to remember, that the mind will always tend to discuss or doubt a spiritual experience. So once one gains insight, it is important to acknowledge and integrate it in every aspect and day of life. The essence I can get out of different spiritual teachings, whether the yogic, buddhist or mystic christian paths: contemplate, meditate, be willing to give up negative personality traits and strive to become a better human being. Clear and heal limiting imprints and baggage from yourself, move on and create from the purity of your heart. Jullay! 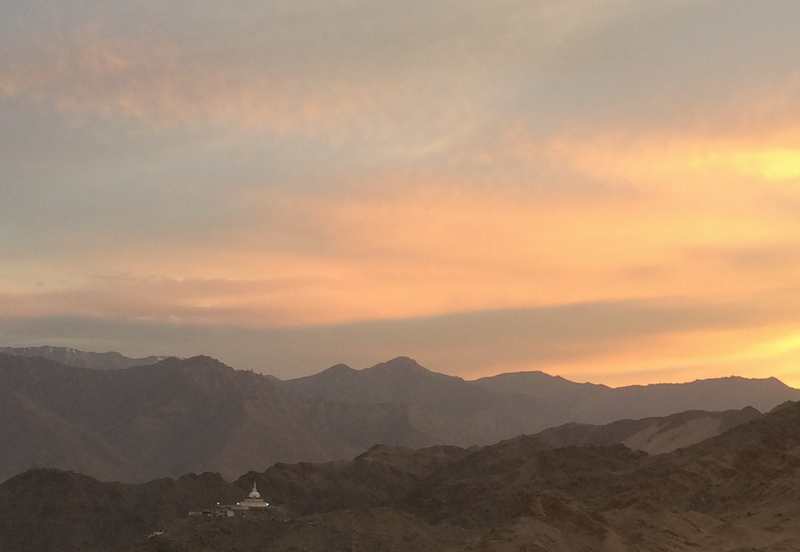 (the all purpose word for Hello, Goodbye and Thank you in the Ladakhi language). Om Ham Ksha Ma La Va Ra Ya So Ha.